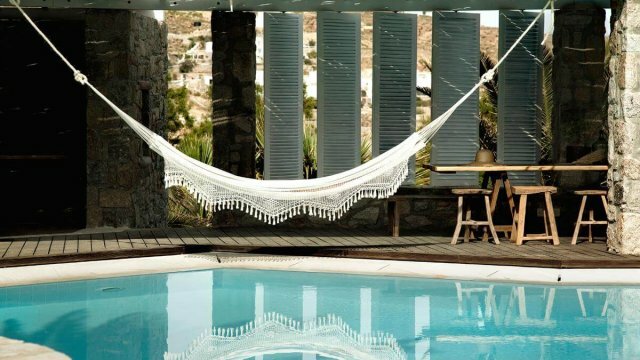 Hippie Chic hotel in Mykonos was created only to make people believe in true things and timeless virtues. 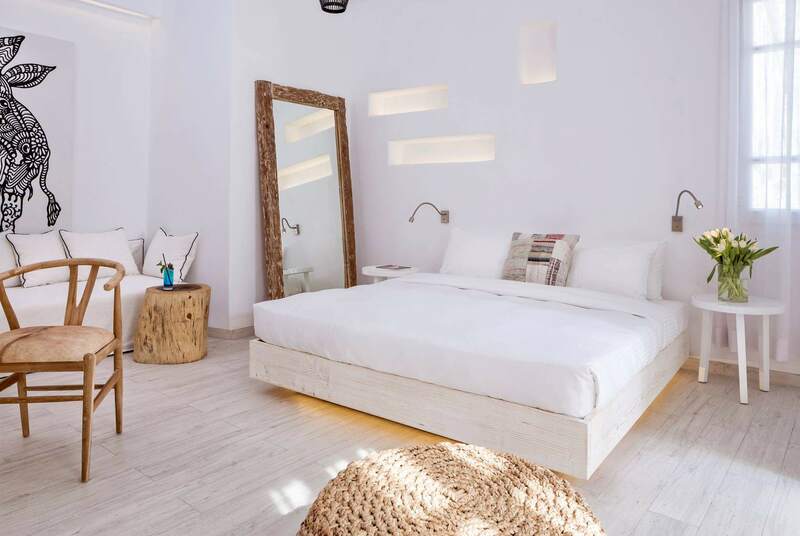 Located in Agios Ioannis beach it is really a hippie style hotel as its name reveals, gathering interesting personalities and freestylers who live their lives beyond boundaries and limits always in search for real experiences. It is literally on the beach since the sand and the sunbeds are within some steps to reach. 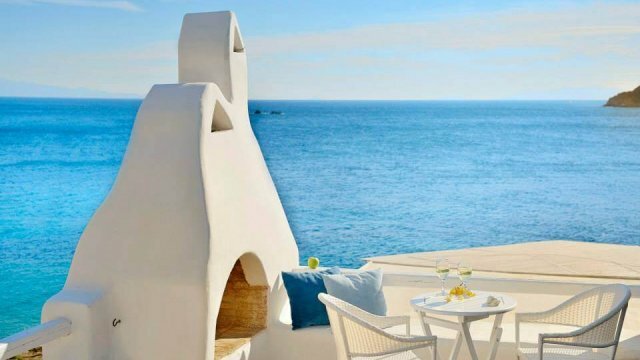 A spectacular view of the Gulf of Agios Ioannis and the Aegean and picturesque Delos to the background remind you that Mykonos is much more than a party island. 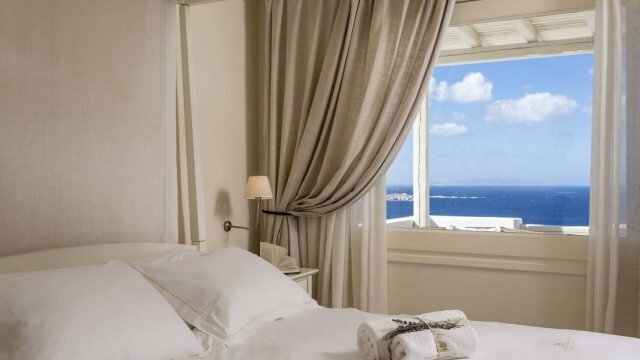 The rooms and suites are comfortable and spacious overlooking either the garden or the sea and the ultra modern decoration will give you this extra something needed to feel the glory of Mykonos but through the simplicity of the whole space and the fine architecture. Into the hotel, you will find the Hippie Fish restaurant that grows its own reputation separately as it is already renowned and a must-visit fancy restaurant offering much more than just a culinary experience. Hippie Fish will take you “to the moon and back” with its remarkable delicacies and will fulfill your wish of having something great letting you have great expectations. 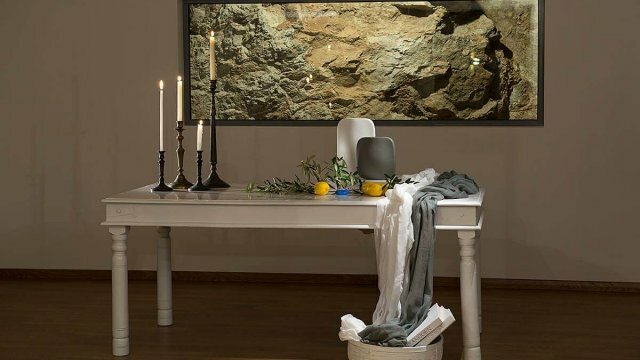 Glamorous spaces and elegance along with simple decoration and style, bright, vivid colors and the essence of serenity to dominate carry you away even after a long journey or a strong and rough everyday life on winter time. 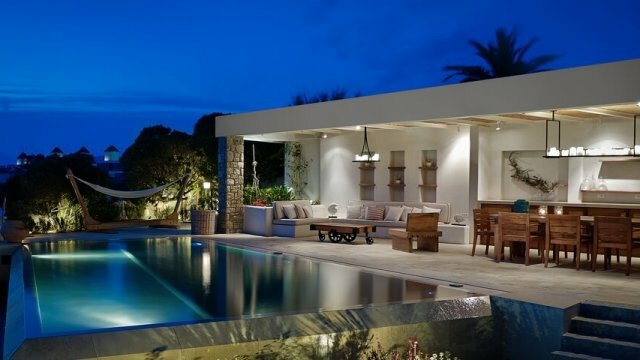 Lay by the pool, have a drink, close your eyes and feel the endless Greek summer to the very depths of your soul. 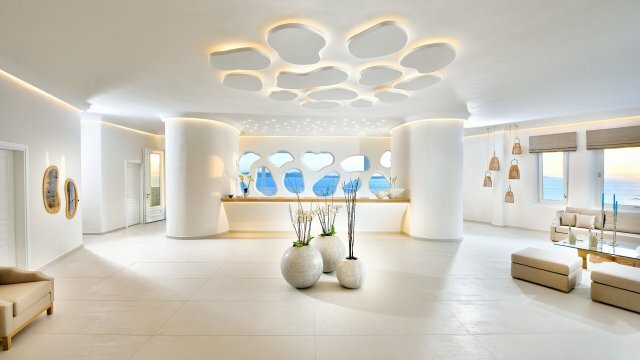 Recharge your body and leave it all to the professionals of Hippie Chic Mykonos Hotel. Trust your instinct!